The InVID project and the InVID verification technologies, were presented on a workshop focusing on tools for content verification. The workshop was co-organized by CERTH/InVID and the Media Informatics Lab of the Journalism & Mass Media Dept. 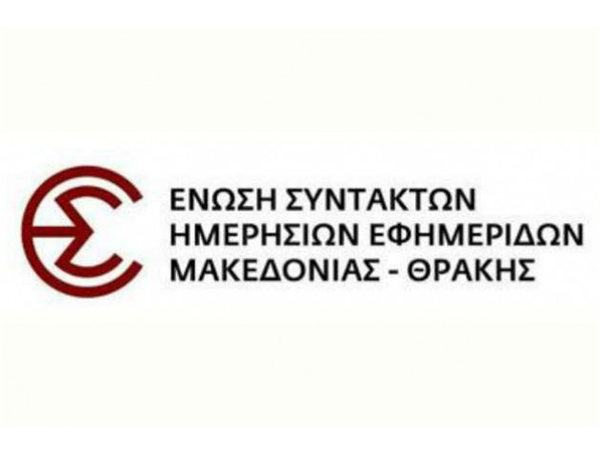 of the Aristotle University of Thessaloniki, in collaboration with the Open Knowledge Greece Foundation and the Journalists’ Union of Daily Newspapers of Macedonia – Thrace (JUDNM-T). It took place on Wednesday 6th of June 2018, in the conference centre of JUDNM-T, in Thessaloniki, Greece. The audience of the workshop (approximately 40 people), was comprised by journalists, academics and Master students of the Journalism & Mass Media Dept. After the introductory part of the event, which was made by Prof. Andreas Veglis, the workshop started by an overall presentation of the InVID project by Dr. Vasileios Mezaris, the project co-ordinator. Dr. Mezaris explained the project’s motivation with the help of some indicative examples of fake news. Following, he described the project’s goals and overall concept for meeting these goals, and briefly discussed the developed integrated technologies for newsworthy media collection and verification. The given presentation can be seen below. Subsequently, Mr. Evlampios Apostolidis from CERTH-ITI, gave a talk on fake news that rely on video reuse. In particular, Mr. Apostolidis presented some examples of such fakes, discussed the most common approaches of journalists to deal with this type of fake news and explained how the InVID technologies can assist journalists to identify the original video source. For this, he presented the developed web application for video fragmentation and reverse keyframe search, that enables the users/journalists to perform reverse video search at the fragment-level, and detect previously published versions of the same video online. The given presentation can be found below. Following, Dr. Symeon Papadopoulos from CERTH-ITI, discussed the current status on the creation and spread of fake news and rumors via social networks and listed a number of credibility signals that could allow a user (i.e. a journalist or a media verification expert) to evaluate the veracity of a news item. Finally, we presented the functionalities and characterists of the developed context analysis and aggregation toolkit that has been developed in InVID and is integrated in the InVID Verification Plugin, and highlighted the creation (and future public release) of a constantly extendable Fake Video Corpus, that can support the current and future reseach on this field. The first part of the workshop ended with a presentation focusing on image forensics analysis, made by Dr. Markos Zampoglou from CERTH-ITI. Dr. Zampoglou explained the existing challenges related to the detection of tampering of digital images, highlighting the fact that the sharing of these images via social media platforms entails a re-compression process that usually erases most of the digital traces that could assist the identification of manipulations. Based on this observation, he stressed the need to analyse the most earliest version of a digital image, and discussed the funtionalities of the REVEAL Media Verificaiton Assistant that is integrated in the InVID Verification Plugin. The given presentation can be seen in the following. a real-time debunking of a couple of examples of fake news based on image tampering (performed by Markos Zampoglou). The aforementioned examples were used for demonstration purposes, while an additional set of examples was provided to the participants of the workshop, aiming to motivate them to discover the functionalities, capabilities and limitations of the different components of the plugin, and send us their feedback (via the integrated survey) concerning their experience with this tool. The InVID-organized workshop MuVer at ACMMM 2017 was successfully concluded on October 27th in Mountain View, California, USA. Two keynote talks and three oral paper presentations, two of which reported some of the latest developments in InVID, were delivered at the workshop and sparked very interesting discussions on multimedia verification goals and societal needs, necessary technologies, and associated privacy issues and concerns. In the workshop’s website, the slides of the keynotes and oral paper presentations delivered at the workshop are gradually being posted; the complete set of presentations will be publicly available soon in the above link. The workshop’s proceedings have also been made available by the ACM, and can be accessed at https://dl.acm.org/citation.cfm?id=3132384. 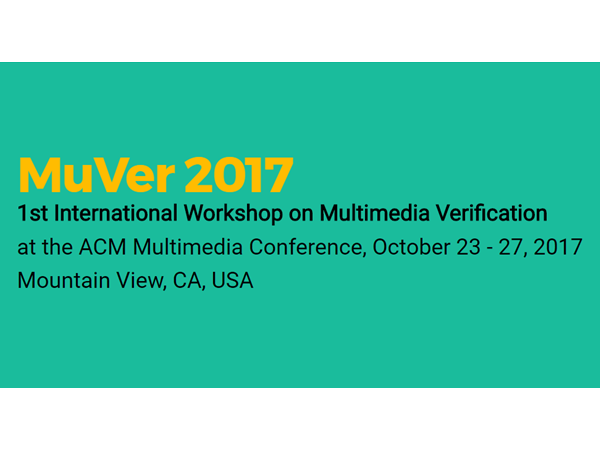 We are pleased to announce that InVID organizes the 1st International Workshop on Multimedia Verification (MuVer2017) at the ACM Multimedia Conference that will take place on October 23 – 27, 2017 at Mountain View, CA, USA. The tentative date for paper submission is 19 July 2017. For further details about the topics of the workshop, the submission of scientific papers and the program committee please visit the webpage of the MuVer2017 workshop.